As I write this post on May 5, I am reminded of where I was a year ago today: on a flight returning from Buenos Aires. 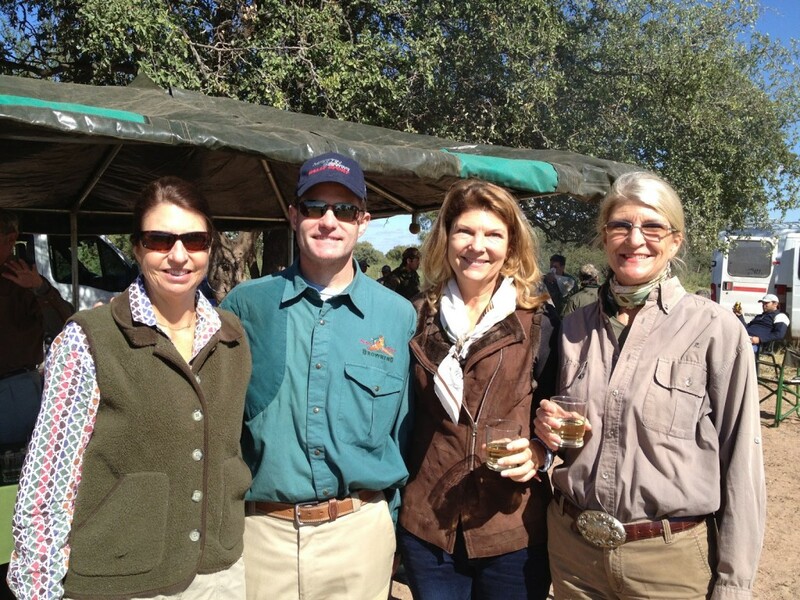 Hubby and I had flown to Cordoba, Argentina, for a three day dove shoot with my siblings, and then with another couple, on to Mendoza to spend a few nights at the incomparable Cavas Wine Lodge. It was autumn south of the equator, with shorter days and cold nights. 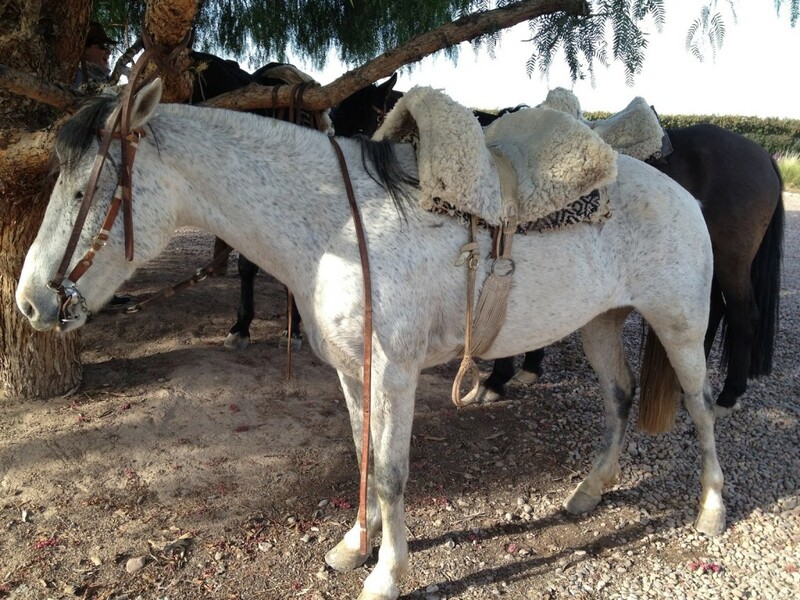 In Cordoba, we woke up before dawn and spent the entire day in the field. 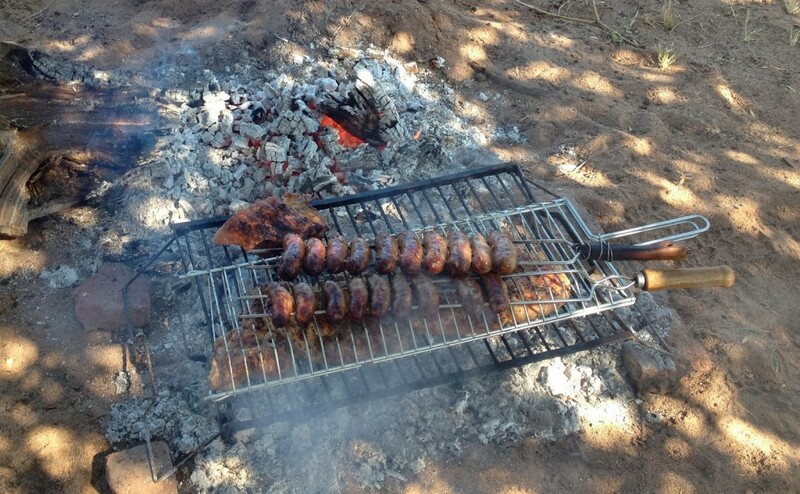 We rested at midday for a few hours to enjoy a leisurely lunch of grilled steaks and sausage, and returned to the estancia after dark. 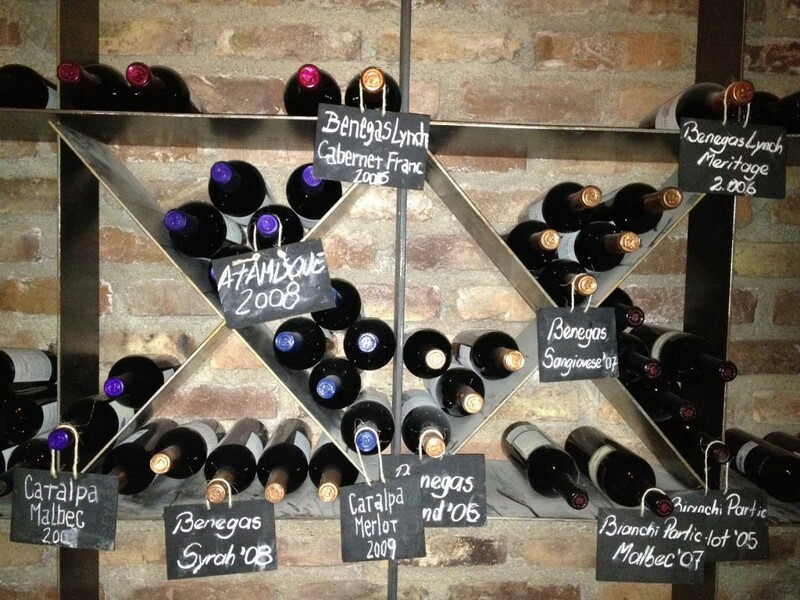 In Mendoza, we centered our days around tasting Argentine Malbecs, the robust red wine made from the grape of the same name that has become known as one of the “national varieties” of the country. 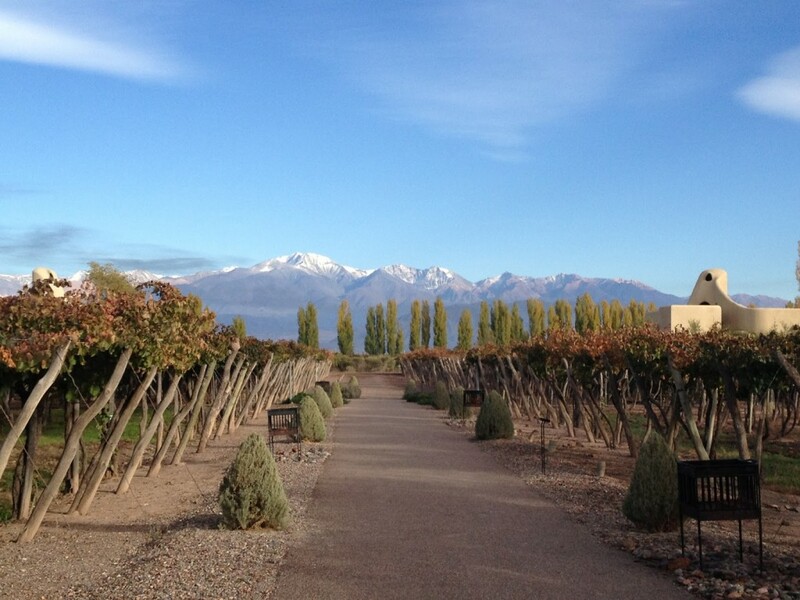 Cavas Wine Lodge is a Relais and Chateaux destination located in Lujan de Cuyo, a 40 minute drive from the Mendoza airport. 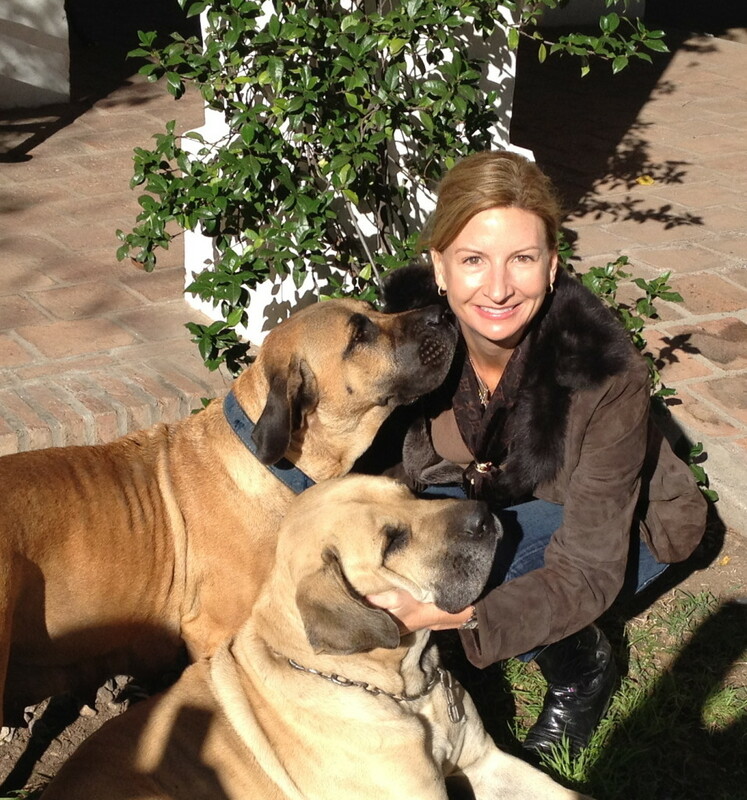 Owned by Martin Rigal and Cecilia Diaz Chuit, Cavas is built in a Spanish colonial style and encompasses 55 acres. 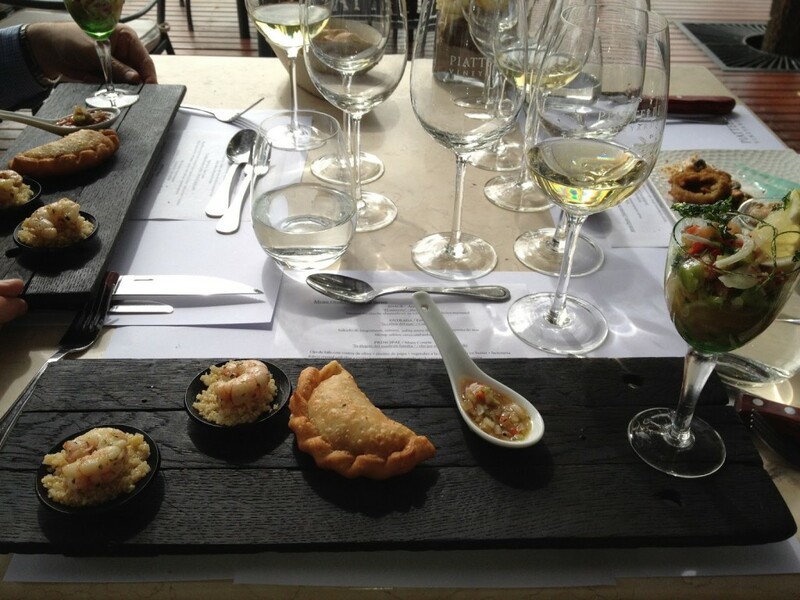 At the time of our visit there were 14 casitas scattered among the vineyards. 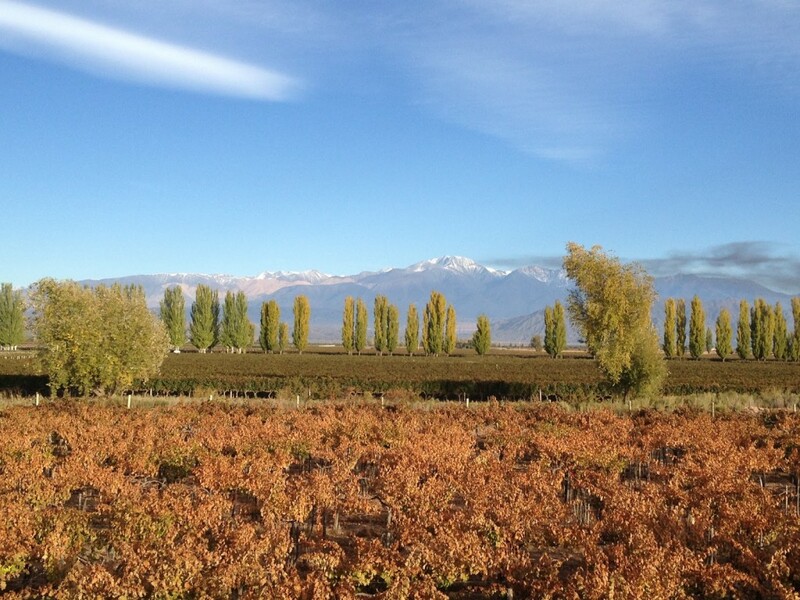 With the stunning backdrop of the Andes, it is one of the most magical spots in South America. 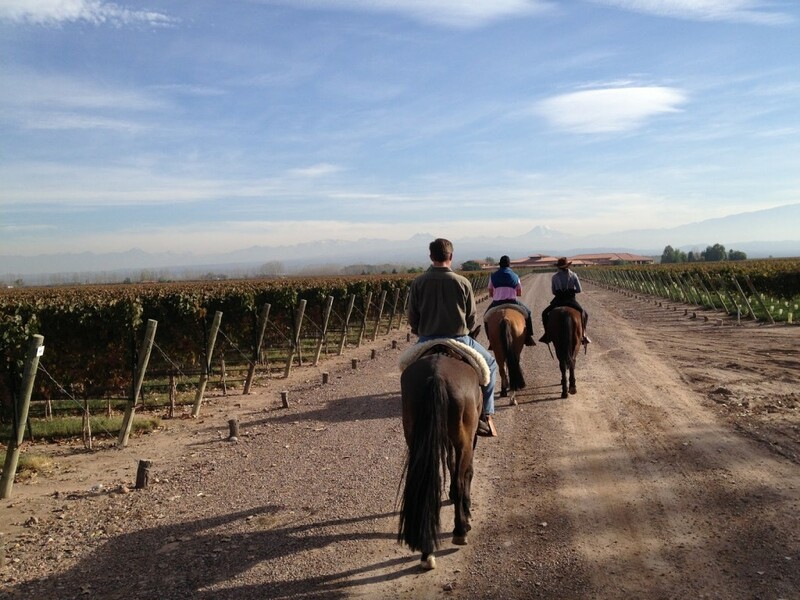 One day we went wine tasting on horseback to three nearby wineries: Vina Cobos, Bodega Ruca Malen and Decero. 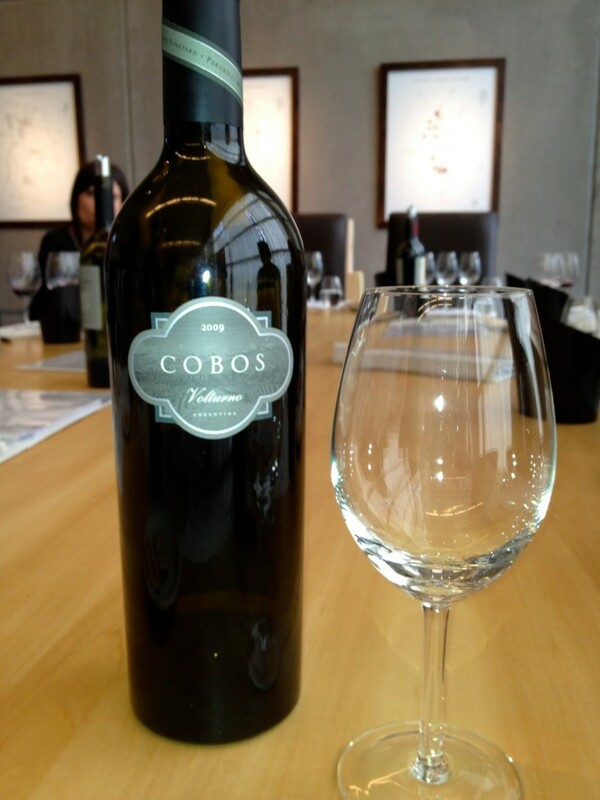 Vina Cobos is a partnership with Paul Hobbs, Andrea Marchiori and Luis Barraud. 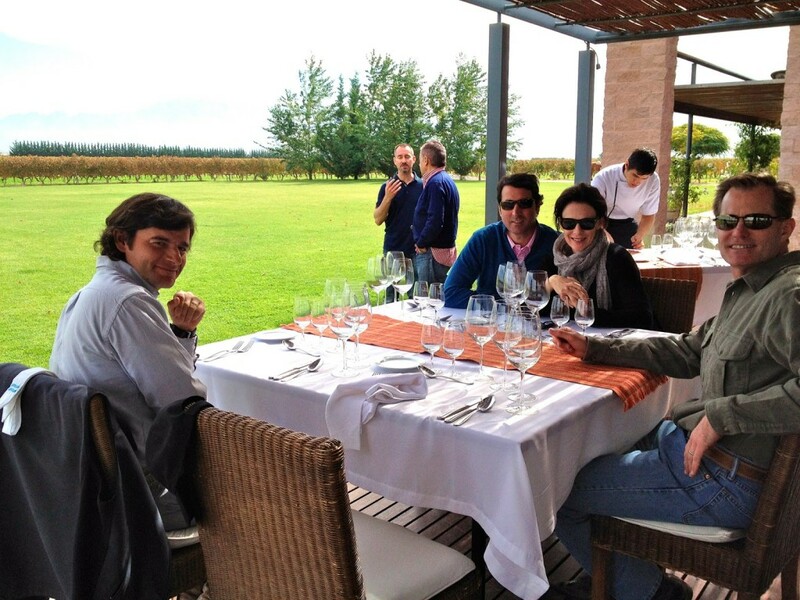 We are huge fans of Paul Hobbs, and, after having visited his Sebastopol winery two years ago, were thrilled to have this opportunity to see his Argentinian operation. Even though just barely 10 am, we treated ourselves to a bottle of Vina Cobos Volturno, a blend of 80% Cabernet Sauvignon and 20% Malbec. (When I say “we” in this case, I am including two of our compadres in crime…just in case you were wondering about two people polishing off a bottle of wine before noon.) Volturno is a spectacular wine, having received ratings of 98 points from The Wine Advocate, 94 points from the Wine Spectator and 93 points from Wine Enthusiast. 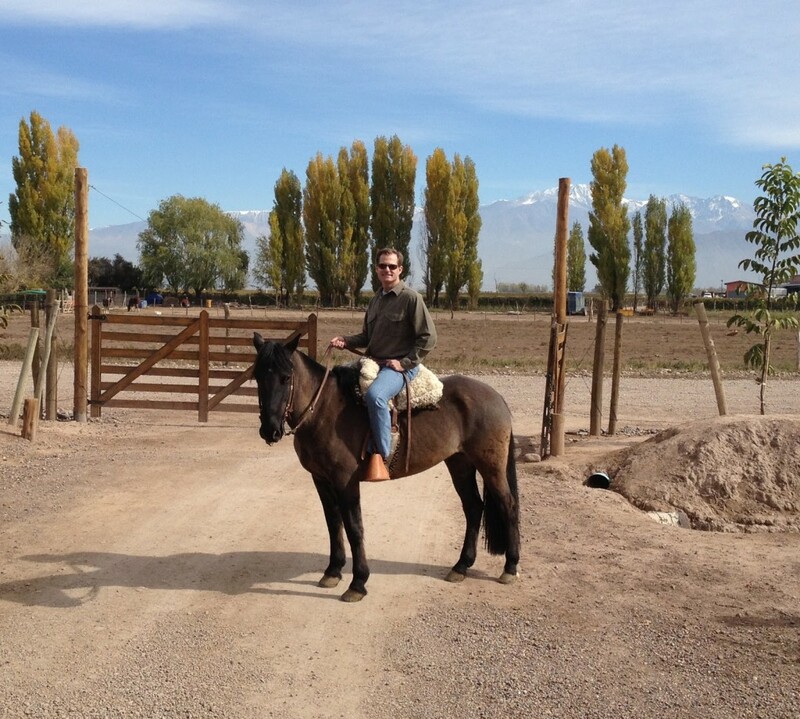 We then climbed onto our criollo horses (with a helping hand from our gaucho, Lolo) for a short ride to the Bodega Ruca Malen, where we feasted on a five course meal with paired wines in the shadow of the ever-present Andes. As if we had any room for more food (or wine), we knew we had to make the pilgrimage to Francis Mallmann’s restaurant, 1884. 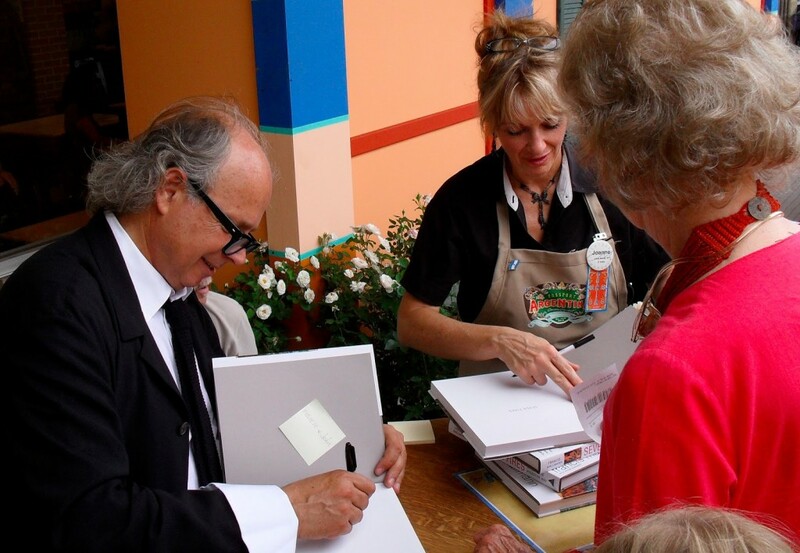 I had met Chef Mallmann in May of 2010 when he was in San Antonio for a book signing at HEB Central Market, one of the most incredible grocery stores in the world that deserves its own post (one day, mark my words, I will do it!). His cookbook, Seven Fires, is a beautifully illustrated bible on wood-fire cookery. 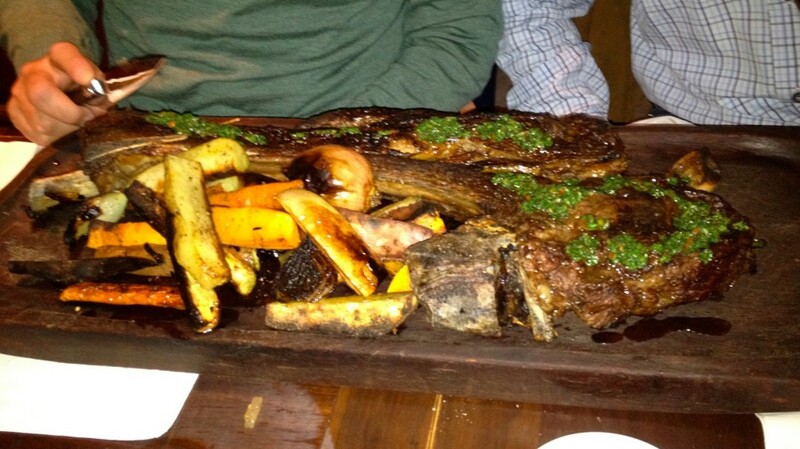 What does one order when in Argentina at Mallmann’s restaurant…steak! And check out the size of this beauty, which is a meal for two, but can easily feed 4, or 6 or 10. On our final day, we toured the Piattelli winery with winery director, Gabriel Fidel. Some friends had put us in touch with fellow Arizonan, Jon Malinski, owner and CEO of Piattelli, who arranged this tour for us. As a former Minister of the Economy for the province of Mendoza, Gabriel Fidel not only broadened our horizons on wine, but also on Argentinian politics. As well, he holds a masters degree in Public Affairs from the University of Texas (love it!). 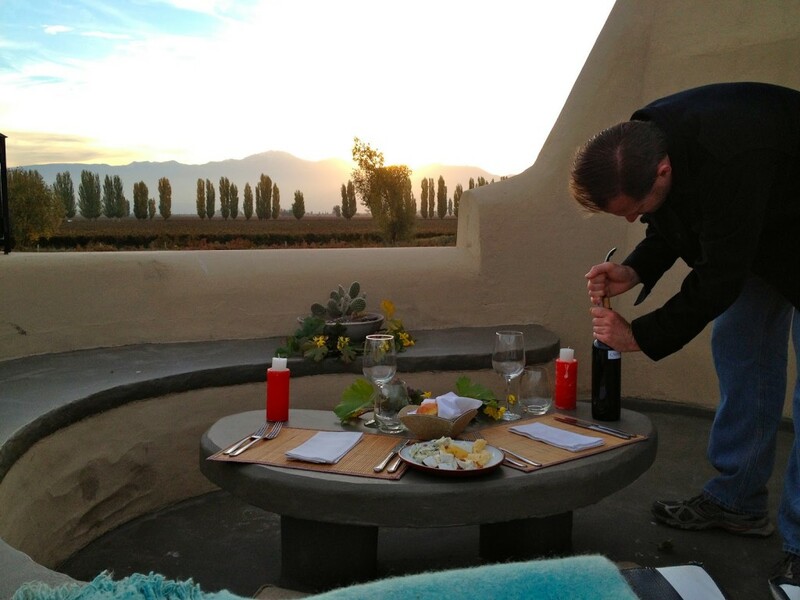 We rolled back to Cavas and spent the evening on the rooftop of our casita in front of the fireplace curled up under blankets star gazing…heavenly. Hasta pronto, Argentina! Boil water and stir in salt until it dissolves. Remove from heat and cool. Mince the parsley and oregano, and add the minced garlic and red pepper flakes. Whisk in the red wine vinegar, the olive oil, and lastly, the salted water. Seal in an airtight container and refrigerate for at least 1 day. Chimichurri can be kept refrigerated for up to 2 to 3 weeks.